Inspirational Bible Verses Canvas Prints as well as Christian quotes. 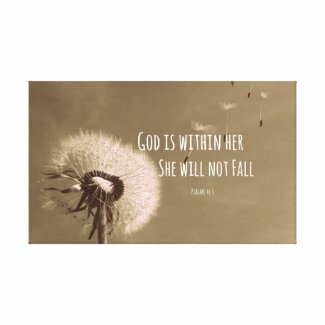 Above is the very popular , "God is within her, she will not fall" with a vintage inspired blowing dandelion background. 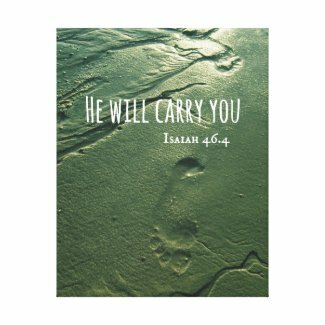 Below, is another popular scripture, "He will carry you" with footprints in the sand. Comforting and inspiring scripture.